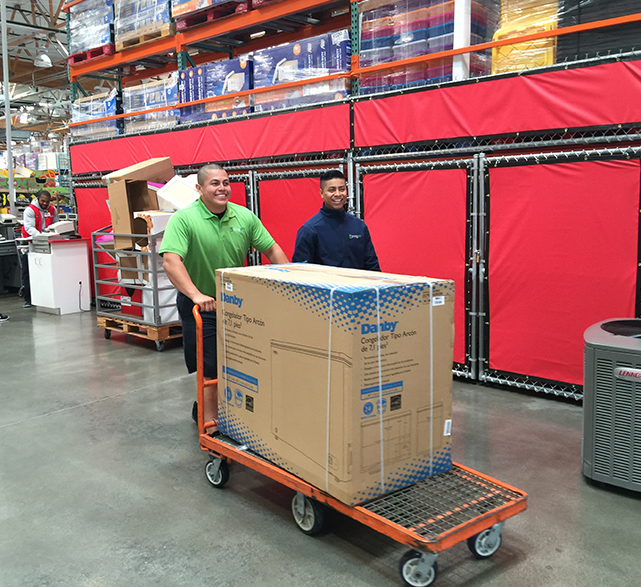 You always get a great deal at Costco, especially on large or bulky items such as furniture and appliances. The struggle can be finding a way to get these items delivered to your home or office when they won’t fit in your car. The Costco stores in Laguna Niguel and San Juan Capistrano in Southern California have a solution. They refer their customers to bringpro, an on-demand professional delivery and set-up service with a cool mobile app that makes it easy to request service. 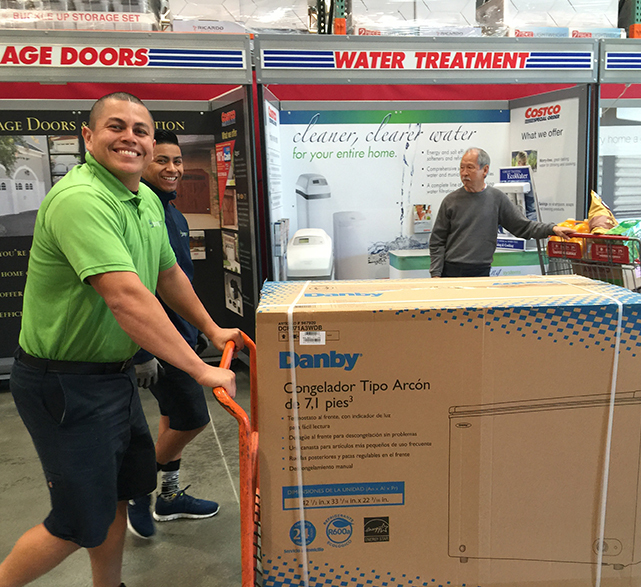 Costco customers appreciate that they can use bringpro’s mobile app to get on-demand service or schedule a next-day delivery. Or, they can use the bringpro website or call the 800 number, whichever is easiest for them. Plus, they can track the delivery all the way to their home so a minute is never wasted waiting for their delivery to arrive. At $2 per minute, bringpro is also easy on the budget. 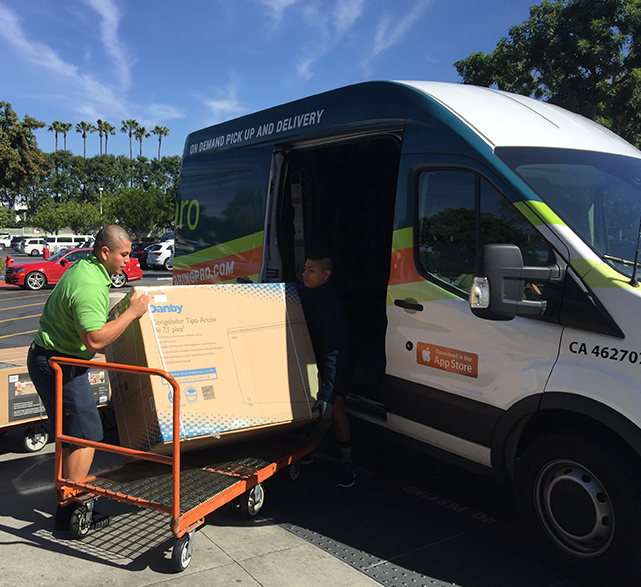 With their uniforms, logoed truck and professional service, bringpro delivery teams instill trust in both Costco and its customers. 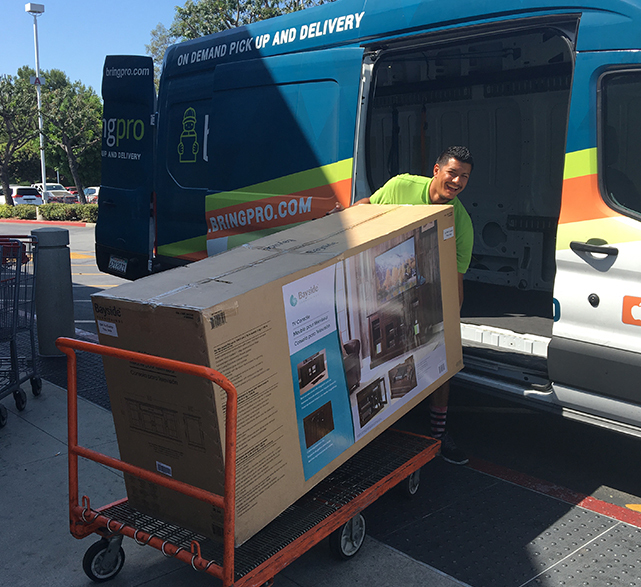 “One of the things that sets bringpro aside from other delivery companies is that the delivery teams go the extra mile by taking the items into customers’ homes and will even help set things up,” Juarez added. 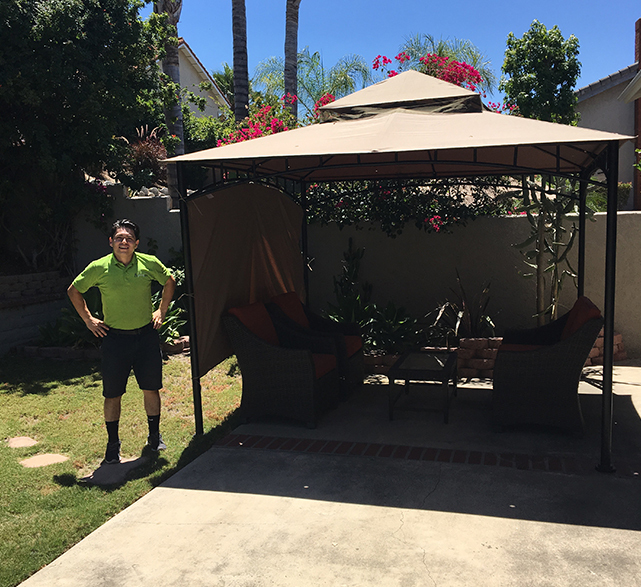 Costco customer Hedley Green recently purchased new sofas for his business, Get Real Recovery, based in San Juan Capistrano. 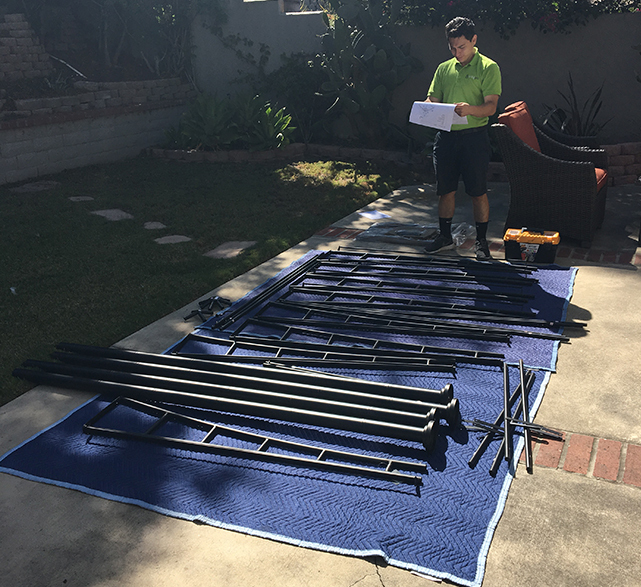 Using the bringpro mobile app, he was able to get same-day pick-up and delivery of the furniture to his office. Costco Wholesale is a multi-billion-dollar global retailer with warehouse club operations in eight countries. It is the recognized leader in its field, dedicated to quality in every area of its business and respected for its outstanding business ethics. 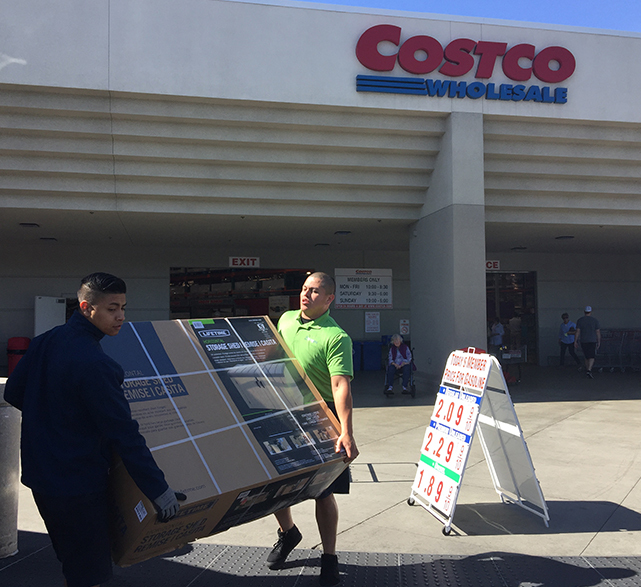 Despite its large size and explosive international expansion, Costco provides a family atmosphere in which its employees thrive and succeed.